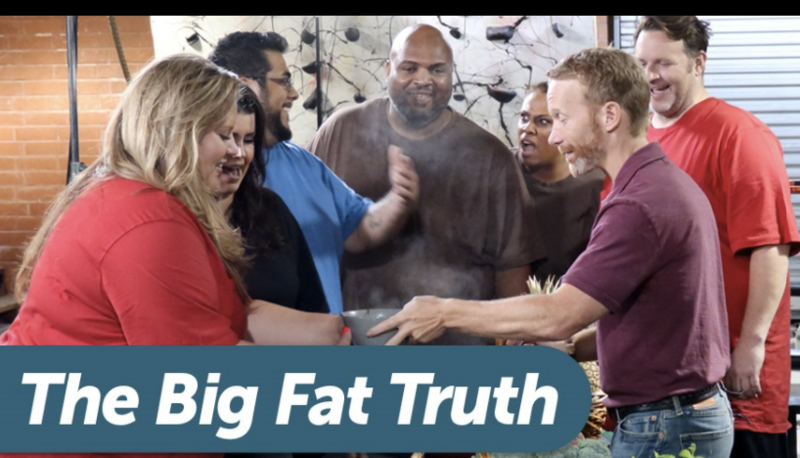 There’s a new show airing on Z Living called The Big Fat Truth, and I was invited to spread the word. Unlike some of the other weight loss reality shows, this one focuses on emotional and lifestyle changes to give people the motivation and optimism to begin a weight loss transformation. This show premiered on June 11 and airs on Sundays at 8pm ET. It has been almost a decade since I lost 30 pounds and started this blog to document my weight loss success story. That is T E N years of my life I have shared with you guys, photo-documenting the “how” behind making healthy lifestyle choices. 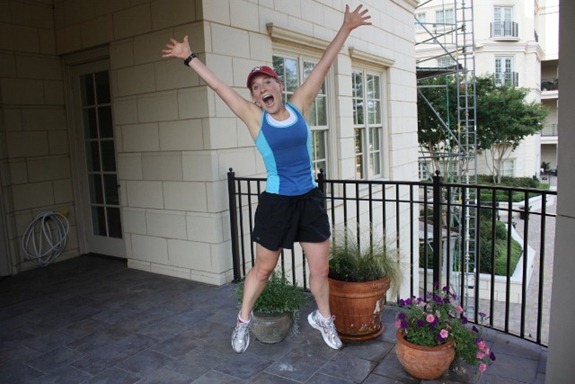 My story starts at Davidson College: a foot injury that limited my exercise plus a typical college student lifestyle led me to a place where I was totally uncomfortable in my own skin. I hated how I looked in photos, and I tried my hardest to find clothes that were flattering. 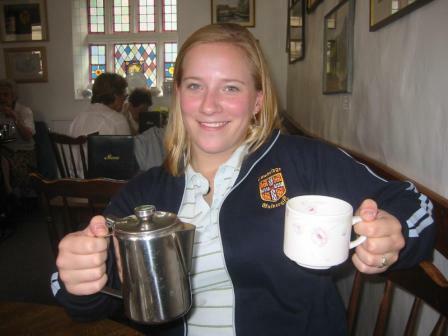 I really had no idea how much my lifestyle choices and my weight were intertwined. I figured I was just destined to be overweight as an adult. When I graduated, moved into an apartment, and left all of the temptations of college life on campus, weight started to fall off of me. Cooking for myself was the only option, as I couldn’t afford to eat in restaurants or do take-out meals on a regular basis. When I started packing lunches to take to work and cooking dinners at home, naturally my portion sizes were smaller and the food was healthier. I also joined a gym and started to take spin and boot camp classes which were really fun. I really couldn’t believe that losing weight was so simple, and I was looking and feeling better. I immersed myself in learning more about cooking, weight loss and nutrition and began counting calories to get a better idea of how much I was actually eating and some of the math behind what was happening in my body. I truly went through a lifestyle transformation. A little over a year later, I had lost 30 pounds and wanted to share my story with the world, so I started a blog journaling my daily meals and showing people that getting healthy didn’t have to be boring or depriving but could actually be enjoyable and delicious. During that same time, I went back to school to become a Registered Dietitian so I could eventually help others reach their goals too. My draw to nutrition has always been in the emotional and lifestyle aspects of weight loss more than the clinical and research side of the field. Most people know the “what” and “why” of being healthy, but it’s the “how” that is difficult to figure out, so by writing about my own healthy lifestyle, I aim to be a good example of eating real food and being active on a daily basis. KERF has been going strong for almost a decade now, and it has changed my life in so many ways. The Big Fat Truth is executive produced and hosted by reality-TV pioneer JD Roth, and follows the journey as he guides and mentors groups of overweight participants, posing challenges and providing the tools they need to accomplish their health and weight loss goals. Every week features a different set of contestants who are looking to change the bad habits that are the root of their health and weight problems. There’s a FREE Big Fat 30 Day Challenge so you can follow along and reflect on your own lifestyle habits. Check out the channel listing here or watch the first episode online here. I’m excited to see the changes these contestants make! Per the Squiggly Line Effect, your health isn’t a flat line that never changes. It must adapt with you as you go through ups (like having a baby) and downs as you find the balance between being super health-minded and living a great life that works for you. What is most important is that you have awareness of the connection between your habits and your health. This is timely as I’m starting to really commit to losing 35-40lbs after gaining them back in the past 2 years or so (a couple minor surgeries, marriage, 3 moves). Your points on it being fun and paying attention to calories–so simple but just what I needed to hear today. Thanks–and congratulations on life lately! All best wishes to you. Its so great to hear your story and how far you’ve come. I truly believe that its the small steps at first that matter and help as a catalyst for the rest. Kath, did you find that having an external support network — friends, your parents, Laura, then Matt and now Thomas — was helpful? For me, I know it’s much easier to live a healthy lifestyle when others are on board (and not tempting me with margs and guac! lol). Yes support network is so key!! It’s just so much easier to make healthier choices when you are surrounded by those doing the same. That’s one reason why I love our blog online community! Support is absolutely crucial in a fitness journey ^^ and Kath, who knew that by simply getting healthier you’d start a blog, and now you’re making a living out of it?! WOW…I LOVED this blog and I will definitely check out the show!!! I have been following you for years and have taken your advice many times..You are an inspiration and I just love you!!! That picture of you in a plank is awesome! Great post! I always found you to be an example of a woman who gets the word “balance” absolutely right. Thanks for sharing about the show, I’ll check out the challenge. I’m glad losing weight was so easy for you, but it isn’t for a lot of people, myself included. I’m a longtime reader, but I found this comment dismissive and dispiriting, especially as you’re in the business of attempting to help people change up their diets and lose weight. It is a simple process, as I said, but that doesn’t mean it’s easy – even for me. I am a long time reader and I was also pretty offended at this comment. The process is not that simple for everyone. You said it in the post and again in a comment. Good for you that it is that easy for you to keep the weight off, but it’s not for all of us. I’m trying to lose weight right now (3 pregnancies in 4 years has taken a toll on me!) and this sentence stood out to me as well. I believe that most people who are overweight have an emotional connection or even addiction to eating food that comforts them. Everyone knows to eat fewer calories and move more–which is a simple concept–but that plan is very difficult for most people to implement. I am in a similar boat. Two closely spaced pregnancies has taken a toll on my body. I have a one year old and a two year old. I also am not finding it very simple. I am 38 and figuring out what my body needs and how much has been difficult. Kath, can you share some success stories from older readers? Perhaps people can share what has helped them as their body and metabolism has changed? Thanks! It’s really not easy. As somoene who has struggled with her weight since first grade I can’t tell you how much I have lost and gained the same weight over the years. I did lose over 70 pounds without regaining it but I am still struglling to lose another 70. The process is not easy, keeping it off either. Every person is different, Everyone knows the basics of losing weight but the emotionnal connection to food and addiction is very real and much harder to tackle. And missed by four people! Fixed. Wow, I’ll definitely check this show out! It’s nice to see options like this that aren’t another version of The Biggest Loser. Your weight loss story is so inspiring too! I wonder though if you’d do an update to focus more on how weight loss/maintenance has changed as you’ve gotten older and have had a child. I know for me losing weight in my twenties was way easier than now in my mid-thirties. What’s changed for you? This is something I’ve been thinking g about. I don’t think anything physical has changed (yet!) but my priorities have changed a lot. I will ponder for a post! I just want to say thank you so much for sharing your journey with us! I’ve been reading since I was a senior in high school, and I attribute the healthy living blog community and your blog specifically to helping me become a healthy, well-adjusted adult in my late 20’s. 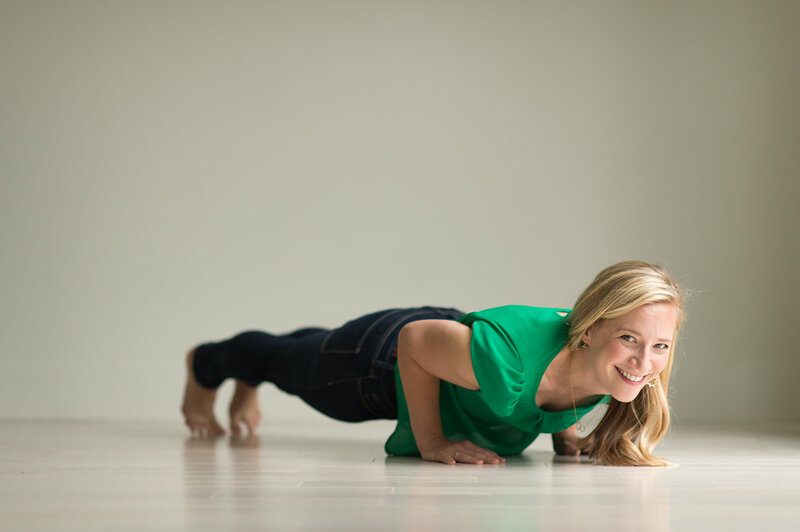 I can relate to a lot of steps you’ve had in your journey and it’s been nice to see someone talk about a realistic approach to health and happiness. Thank you, Kath! Thank you for reading for all these years! What I love about this new show is that they are putting the contestants on a whole food plant-based diet and that is how they are achieving such awesome results. 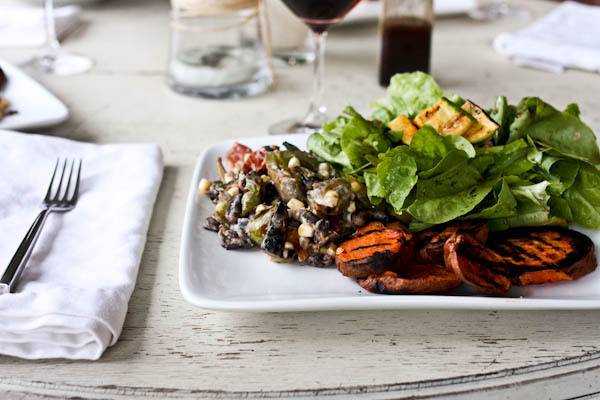 I have been eating this way for over 6 years and find it to be the most healthful eating plan on the planet plus it benefits the animals and the environment as well. Win win win! I’m glad you posted this! This is a key element of the show that Kath did not include in her post. One of the main themes of the show is that the individuals will be eating a plant-based diet eliminating all animal products. My husband and I follow this kind of diet and have truly experienced several health benefits. Check out biochemist/nutritionist T. Colin Campbell’s book The China Study – quite eye opening. Thanks for sharing your story. I’ve been following your blog for awhile and I have enjoyed seeing your progress and where you’ll go next! So well written! I love your blog & thank you, for inspiring me….in so many ways! The China Study has been largely discredited, unfortunately. A whole foods, plant-centered diet is definitely a good thing to implement, but the China Study is not reliable support for it–and those who do not wish to eliminate all animal products don’t need to feel that they can’t achieve a healthy lifestyle, diet and weight without doing so. Great post! Thanks for sharing! Your blog is a favorite of mine!